S'arighty then ... errrrmmm...I was actually waiting for you to begin. Nothing like pseudo-philosophy to kickstart the ol' pre-frontal cortex. "we didnt create ourselfs, so how on what grounds are we better then insects"
would not go amiss. Further, is this a pure creationist perspective, intelligent design....? i guess i should have been more sensitive to peoples beliefs. i, believe in god, so i believe god created humans, animals, insects, bugs, etc..etc..
so in respect to that, i believe that im not better then the insects i've killed over the years, or the animals i've taken in for that matter. so thats really the center of where these thoughts and feelings are coming from. i wonder what an atheist or someone with other beliefs would say about relationship between humans and other beings...? im trying to be more sensitive to the fact that my superiority to animals and insects isnt an excuse for me to treat them badly (not that i do) or to think of them and their purpose in life lightly. i've stopped eating meats because i do not condone the way animals are slaughtered. this is something that saddens me, because kuwait is an islamic country, and islam has laws and ways in which you slaughter animals, and no ones implementing them. So sew-sew, if I understand you correctly, you believe that your god created humans as superior to all other creatures on the planet. That you are at the top of the food chain, as it were, and that creatures exist to serve you in whatever way you see fit. I assume you base this belief solely on your faith that your god exists or are you able to explain and support this belief system with examples from nature and science? Aside from man's obvious capacity for expropriating the lives of others and use of enslavement and torture as "the means to an end" that is. I underatand your curiosity in my beliefs, but i'd much appreciate it if we could stay on track with this thread. You know, about bugs and insects, if people believe they have rights just like animals and humans do? If you want to talk about religion I'd be happy to dicuss my beliefs with you through pm . Actually sew-sew, I'm not the least bit interested in your religion and if you have read what I've posted I haven't referred to religion once. However, I believe you have several times. Were you to describe yourself as Judeo-Christian, Pagan, Satanist, Muslim, Wiccan, Humanist, Agnostic, Athiest ~ it's all really quite irrelevant to me in a philosophical or ideological discussion and I've not asked you to provide that particular label to me. So your inference that I am "off topic" is mystifying. A misunderstanding perhaps. However, if you are discomforted by a higher level of discussion so be it. It's not for everyone. So, let me put it more simply then... are bugs here for your* purpose, your use, is their very existence determined by you? * "you" and "your" here is used as equivalent to "human" reflective only of how you sew-sew, see yourself as a human in relation to what you describe as lesser species. I guess it boils down to morals. What I ment was not that I wanted to discuss religion. But what people believe is ok and what people believe isn't ok with bugs and insects... And Beliefs effect it to a certain extent. For example, I as a Muslim, believe that god created everything. So despite being the superior, I don't believe I'm better then an insect because I didn't create myself. I never decided I did or didn't want to be human and the same goes for the insect or bug. I doubt an atheist or someone with a differed background in belief would say the same thing. An atheist or an agnostic or a wiccan or a pagan, perhaps even those of judeo-christian beliefs, do not necessarily believe in their moral or their innate superiority to other life forms. So, let me ask you the same question from a different perspective. What makes you think you are not a parasite ? Parasite is the fact that I ultimately depend on myself for survival and not on anyone else. Are you saying humans aren't superior to insects or bugs? Thank you again for what may become a very invigorating discussion and I appreciate your intent to relieve this discussion with the heavy-hand of the "need to defend one's religion". So, let's take this in two easy parts then. you do not eat, you do not drink, your biological waste does not exist or disappears without a trace, you do not breathe, you are not clothed, you are not housed, you have no need for heat or cooling, you have no need of the "bugs" that live on the soles of your feet and your eyelashes or in your gut. In other words you do not exist. With me so far? As Masha has rightly pointed out, we live on the planet and we live only because of the planet. Once the planet stops, so do we. I'm fairly "well-travelled" ~ so, I try not to make distinctions amongst cultures. Human or animal. I, and we as a species, do not yet understand and have no or few ways with which to communicate with those who do not speak "our" language. Be it vocal, sounds or physical signs. My earlier point...we humans, have a capacity for expropriating the lives of others and use of enslavement and torture as "the means to an end" ~ is that a good thing? Is that what it means to be a "superior" being? Is that what it mean to be human? To see a hierarchy of what can be killed without regret and consumed. Last edited by mummummum; April 17th, 2011 at 09:06 PM. Reason: splelling as usaul. I find it quite ok to kill those darn deer flies that are biting painfully at my neck when I want to go outside peacefully sit and enjoy my yard. And yup, I am quite fine with killing those flies that want to lay their eggs that create maggots in my garbage can. And yup, should I ever get bed bugs, don't mind killing them so they can't feed off my body and give me stressful nights sleep. 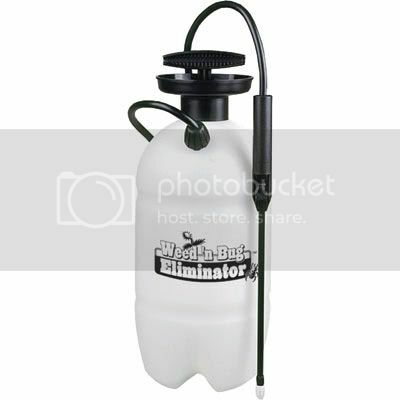 And finally, I don't mind killing those spiders that come down into my face when I walk out my door at night. And those darn fleas and ticks that come on my cats, yup, kill every single on of them too, hopefully before they give my cats tapeworm or some evil bacterial infection. I don't know if cockroaches live in this climate, haven't seen one in any of my houses, but I would kill those too. However, I would not go out of my way to kill anything that leaves me alone, such as bees, butterflies, moths, etc, etc. I have the live and let live kinda attitude. You leave me alone, I'll leave you alone. I think this is a fascinating topic! Personally, i feel bad when i kill bugs. I don't do it often but when i do I often feel guilty for a sec or two, then it passes. I feel bad because I think that life is precious even when it is a cockroach's life. Usually i just catch the bug if I can and bring it outside. But If I feel it might be a health thing (and I think that killing it might stop some breeding/spreading) I have stepped on creepy crawlies. I might also swat any insect that is biting me, I don't feel bad. There are MANY religious groups that never kill bugs because they believe (afaik) that god is present in ALL living things and 2 groups that come to mind are Jains and many Buddhists. Personally - I find those goals to be excellent but very difficult to live by. Another point to all of this has to do with how we are taught to think about bugs when we are children... When you watch your dad kill a bee or a fly it means that doing this is okay. This is a HUGE mistake. You can bet that David Suzuki never taught that to his kids - lol. so that's my take on this - lol. Whenever a deer fly or a horse fly takes a chunk out of my neck, they become a target for me to whack. All other insects definitely have their purpose and right to life. Other than that, insects in my house like bumble bees, moths and such are always safely caught and released back to the outdoors. Oh, but I will use the vacuum on spiders if I need to. thanks for the answers guys, especially marko! your post was EXACTLY what i was looking for, and to add to it, i feel the same way! i guess what i've learned from starting this thread is that the rules of survival apply to all beings, big and small. and everything has its territory. if you step on an ant hill, they're going to attack you, if you disturb a bees nest, theyre going to attack you... so in order for us to be all equal, i guess it means its you can treat any intruder as an intruder, whether its a bug, a human, or a bear. but has anyone noticed, its a lot easier to catch and release then it is to vacume or kill? i mean, who wants to deal with cleaning a stain after you've forced yourself to endure the disturbingly creepy job of killing a spider or some gross looking bug? but has anyone noticed, its a lot easier to catch and release then it is to vacume or kill? I don't know about that, those darn deer and horse flies aren't really affectionate while I am kindly holding them in my hands asking them nicely to please go away . I don't know that it's easier, per se, to catch-and-release than vacuum-and-kill, but release doesn't make me feel as guilty as killing. Spiders used to give me the heebie-jeebies, but then I met ticks. well said! i feel the same way! but theres certain insects or bugs i dont mind holding, or observing while they rest on my finger (like lady bugs!). I used to like lady bugs--but the asian ones bite!!! And stink... Still...I just can't bring myself to vacuum them up. ---interesting discussion/reading. I am with those who live and let live "outside" and keep the creepy crawlers OUT of my house - as I wouldn't sleep at night knowing they were going to crawl over me or into my ears etc. I DO feel bad even when I squash a pill bug in my basement.... for me, the basic decision is: can I live with myself when I kill "anything" I am able to without going to jail (eg my neighbour)!! I definitely feel I am bringing an end to the life of an insect, but have to weigh the pros and cons and my concience. For sure, everyone has an opinion - and no-one (no-one) knows whether it's right or wrong - until that day we all meet up in "another place" - where maybe all these "mysteries and miseries" of life will be explained. I remember reading a long time ago that earth is "inhospitable" to humans and that bugs and disease are, basically, out to kill us (such as eboli): but don't remember who said it.... anyone know? The bug still dies ! ..just had a thought: is there a difference if a bat kills a mosquito and eats it, or I swat and kill a mosquito? The bug still dies. If I eat it, does it ex out my action? But that is a very unique way of looking at the question! this is how i look at it... the bat is doing it as a means of survival, we do it as a means of comfort...? ok, wait... they could have malaria or some kind of disease, but that doesnt really scare me when im in kuwait or canada because the water here and there is predominantly clean. the only time we ever vacumed a bug was when we had a grasshopper in our house, and we could not get close enough to catch it.... either that or i was too chicken to go up to it haha. yeah, i think i was too chicken... but i really did feel bad about it. still do, actually.